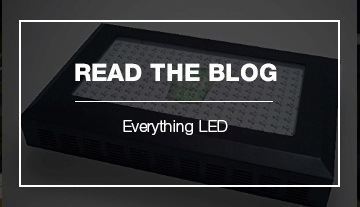 Indoor LED grow lights are optimized for indoor plant growth by targeting specific wavelengths of the light spectrum. 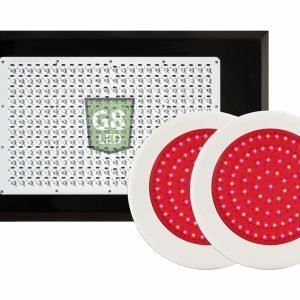 Since plants respond favorably to specific wavelengths of light, LEDs are an excellent way to provide these wavelengths efficiently. 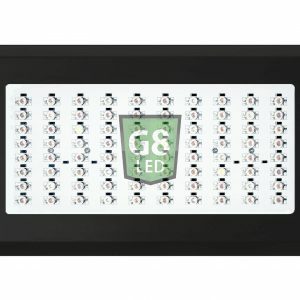 The biggest advantage of LEDs is their low heat signature, low power consumption, and their ability to produce higher quality and potency buds. 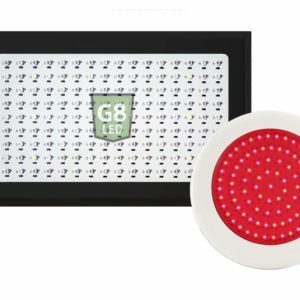 G8LED lights are full spectrum, which means that they produce a balance of cool and warm light in the correct weighted average ratios necessary for photosynthesis. 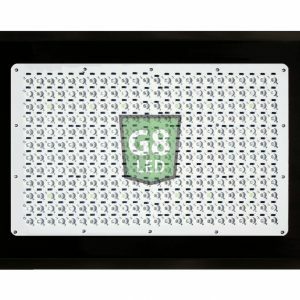 G8 lights are built with high quality components and added cooling features such as heat sinks and fans, which dissipate heat away from the diode board. 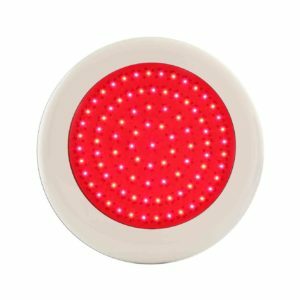 The result are grow lights for indoor plants which do not waste energy as excess heat and can be put very close to plants without the risk of burning or damaging the plants. 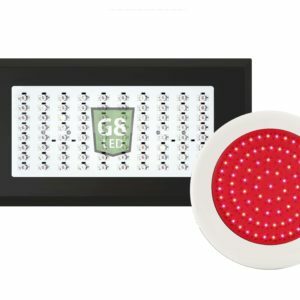 The cooler operating temperature of G8 grow lights makes it easy to control your room temperature and reduces the air conditioning needed to keep your grow room at the optimal temperature. G8LED indoor plant lights give higher yields for the same amount of electricity consumed as compared to metal halide, high-pressure sodium and CFL lighting. 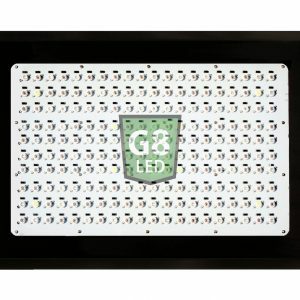 G8LED lights also give higher yields compared to other LED grow lights due to the very dense network of diodes employed by the G8 design. This dense network increases the intensity of light per square inch, which translates to more growth per wattage of electricity consumed. 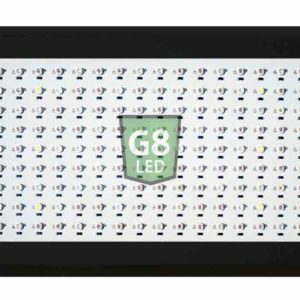 The specific diode formulation of the G8LED indoor plant light is maximized using an optimal 8-band ratio plus infrared and ultraviolet. 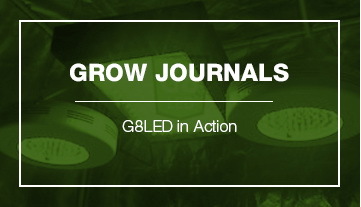 The infrared light assists plants in stem strength and growth and is critical during the flowering phase. The ultraviolet light increases trichome resin formation as the plants respond to the light by producing a natural sunblock-like substance, which is desired by the grower. The advance of indoor growing lights has provided an excellent opportunity for growers to take control of their growing environments. 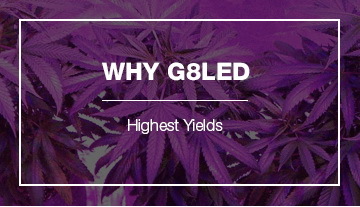 Plants grown indoor with G8LED lights are higher in quality, have higher potency, increased resin formation, aroma and flavor.